VNZ is developing and delivering a nationwide programme to support better volunteering outcomes for recent migrants to Aotearoa New Zealand. We are aiming to better enable organisations to offer more volunteering opportunities for recent migrants and to demonstrate how volunteering can make an important contribution to their positive settlement and inclusion in communities. Our Migrant Volunteering programme focuses on supporting the community and voluntary organisations to enhance the way they reach out to migrant communities, engage with new migrants and actively support migrants as they participate in volunteering activities. A national migrant volunteer-involvement strategy. A supported volunteering model made available as a national programme. We think that volunteering offers new migrants and refugees the opportunity to contribute to and be engaged with their new communities, which can make all the difference to how they feel about living in their ‘new home’. In turn, new migrants offer volunteer involving organisations, a new source of volunteers with a wide range of skills and experience and the ability to become more inclusive by effectively engaging with migrant communities through the volunteer’s network and guidance. We are currently inviting Volunteer Involving Organisations and Volunteer Centres to share information about the way they currently engage with recent migrants, the difficulties they face and what supports they could utilise. If you would like to contribute to this stakeholder engagement activity please complete our Expression of Interest or email us on comms@volunteeringnz.org.nz and we can connect. In fact we are currently surveying Volunteer Involving Organisations about how they currently engage with recent migrants. You can contribute to this by completing this survey. 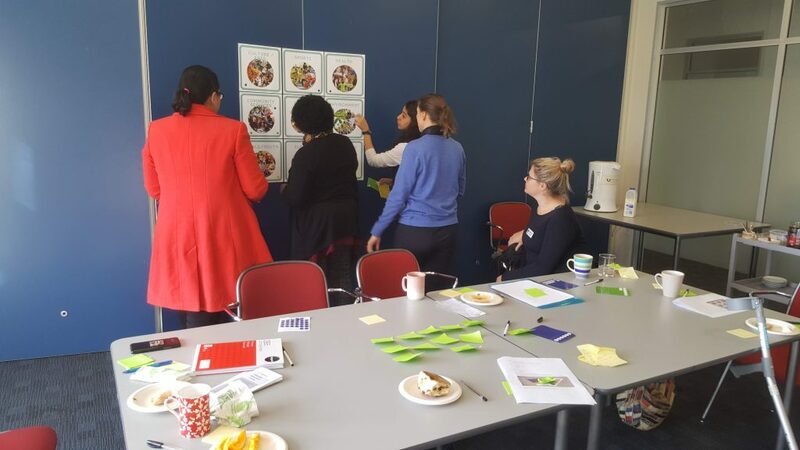 Cultural Connections, a multicultural research and consulting firm, undertook a quantitative survey with migrant communities through their networks to help VNZ understand how new migrants engage with volunteering. With a better understanding of the issue and opportunities it is possible to develop a programme of work that is more likely to have positive results. During April 2018, ninety-one migrants responded to the online quantitative survey and shared their experiences. The information Cultural Connections has been able to provide VNZ through this survey is helping us learn about new migrants understanding of volunteering, their motivations to become a volunteer and the barriers they face. With a better understanding of the issue and opportunity posed by engaging new migrants in volunteering we are able to develop a programme of work that is more likely to have positive results. Timing: 1 in 3 migrants volunteered in first 12 months of their arrival. (e.g. 67% of European migrants found out via family/friends, whilst 43% of Filipinos found out via volunteering websites). Motivations: Respondents were more likely to be motivated to volunteer to contribute to society or meet new friends that gain local work experience. Benefits: Respondents noted that volunteering benefits them by offering a sense of contribution (71%), opportunity to learn new skills (61%), and a sense of belonging (59%). Barriers: The most common barriers to volunteering included a lack of time, not knowing where to source reliable information, and volunteering in an inconvenient location. Positive view: 7 out of 10 migrants would recommend volunteering to others. Read the full report here: Cultural Connections – Migrants and Volunteering in New Zealand, Chuah, Eric. Cultural Connections, 2018. Our approach focuses on enhancing inclusion. Inclusiveness is a core value of ours here at Volunteering New Zealand. In line with this, we want to work with key partners, stakeholders and members to develop and deliver this programme of work. We would love to hear from you if you are interested in our work in this area. Or, if you would like to contribute to our research or planning in anyway. Please feel free to share any ideas you may have for us. You can connect with us by completing our Expression of Interest form or by emailing us on comms@volunteeringnz.org.nz. Our programme of work will be delivered over an 18 month period through until July 2019. We plan to release our work as it is completed throughout this period on the Migrant Volunteering Programme web page.